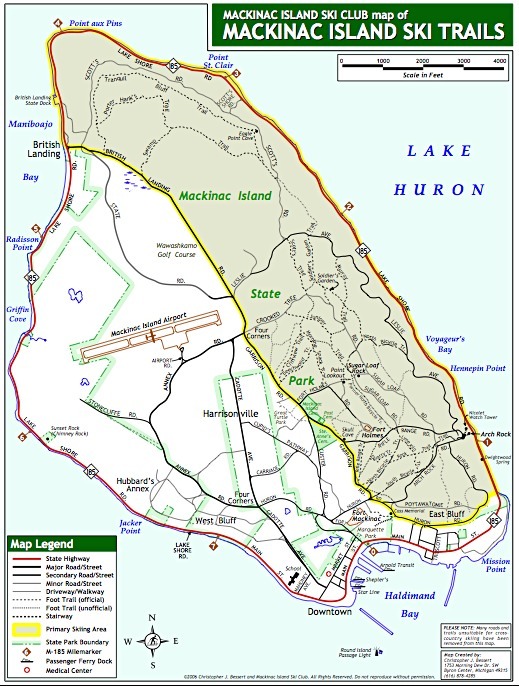 The Mackinac Island Ski club grooms trails on the east and north side of the Island in Mackinac Island State Park. 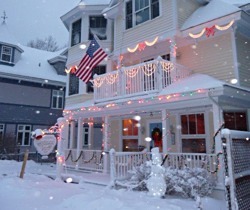 The cross country ski trails wind through the pristine woods of Mackinac Island State Park and allow the winter visitor to see all of the natural and historical landmarks of the island. You can follow the ski trails to the interior of the island and take in the vistas from the highest point on the island at Fort Holmes. 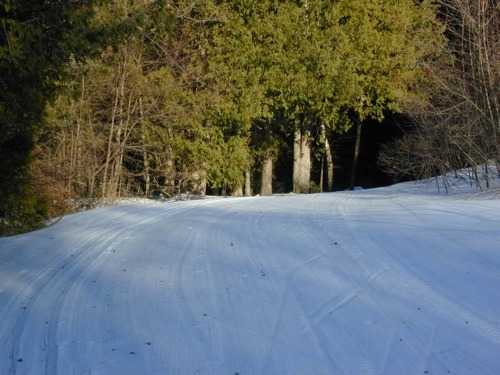 Or ski through the woods to Arch Rock and enjoy the view of Lake Huron from the bluffs on the eastern side of the island.